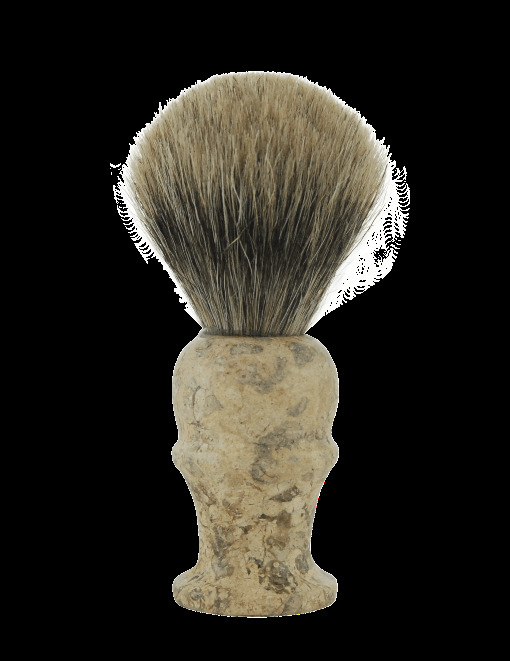 Pure Badger hair shave brush with a marble handle. The marble is referred to as "Fossil" due to the many different fossils found in the metamorphosed limestone. Marble is a non-foliated metamorphic rock composed of recrystallized carbonate minerals, most commonly calcite or dolomite, therefore no two brush handles are exactly alike. Brush is 4" high with a 21mm knot size.